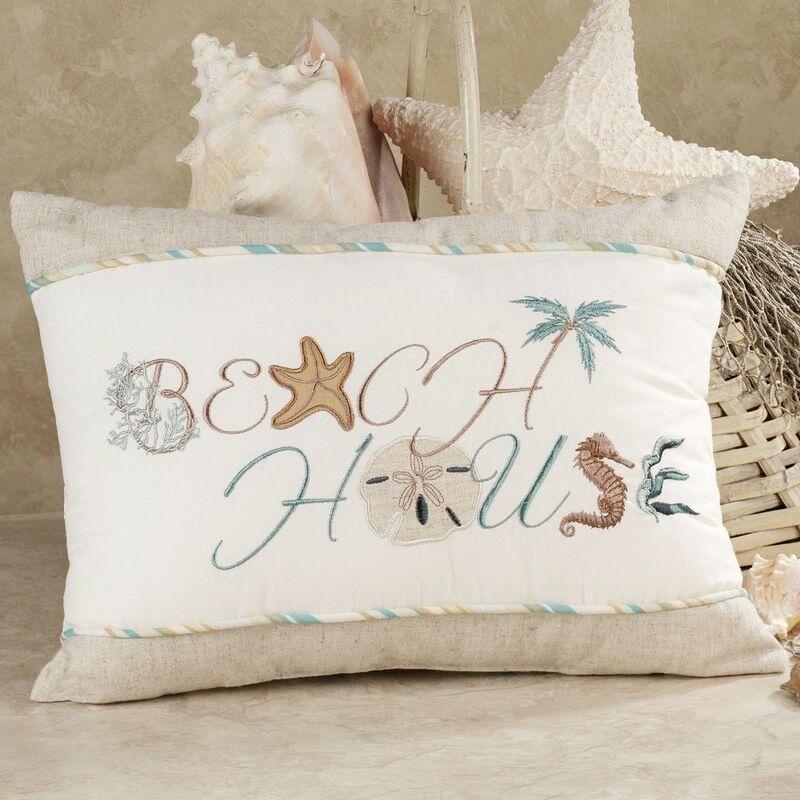 Perfect accent to our Natural Shells bedding collection, this Beach House pillow will bring the seaside into your home. 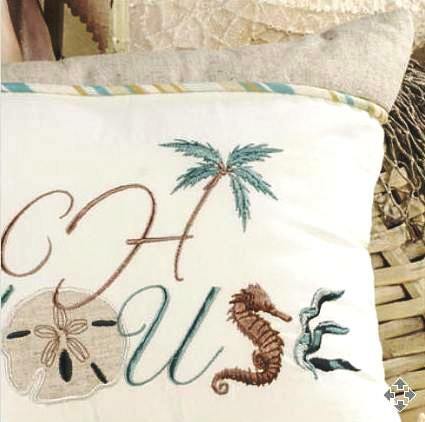 Beautifully embroidered and appliqued starfish, seahorse, sand dollar, palm tree, and coral make up the words "Beach House", and is displayed on an ivory background. A taupe top and bottom is trimmed with a striped piping in aqua, taupe, and ivory; reverses to the same stripe pattern. 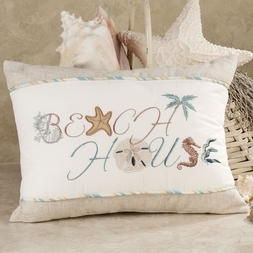 Great for a bed, sofa, or beach house, of course!